Inspired by "Wiki on a Stick", I coded a wiki in PHP5 which is living on one self-modifying PHP file. 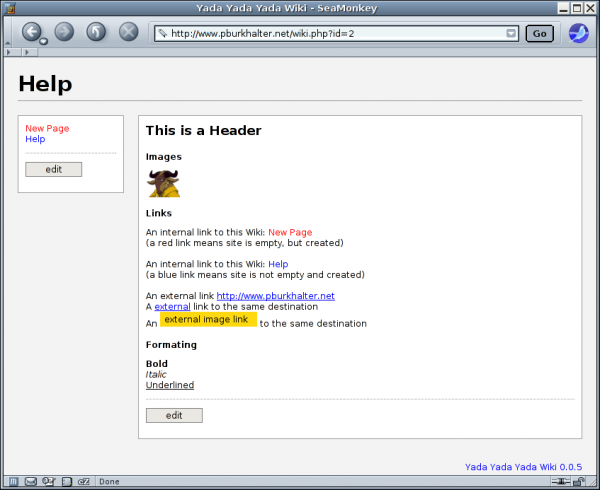 Just get wiki-0.0.6.php.tgz, extract it and copy wiki.php to your web directory. Make sure that your web server is able to read and write the file. If you want a backup functionality, create a folder named 'history' it at the place where wiki.php lives. Don't forget to give proper write rights to this folder.